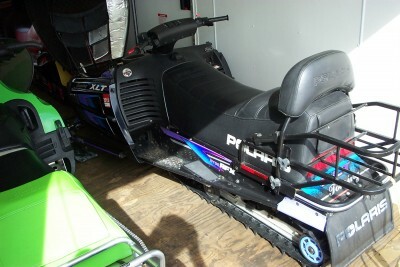 1995 Polaris 600 XLT Touring. 2-Up sled for family fun. Has new 133" powder track and heavier suspension. Always covered and stored inside. Has reverse and storage rack. More spent on upgrades than asking price. See at Cliff's Sales Center, Delta, CO. Ask for Cliff.